TSA Limited – TSA Limited (TSA) is a not-for-profit industry funded organisation developing sales and marketing campaigns to promote the paper and print industries. TSA Limited (TSA) is a not-for-profit industry funded organisation developing sales and marketing campaigns to promote the paper and print industries. Two Sides Australia (Two Sides) is a campaign to help people gain a better understanding of why paper and print remains a versatile and sustainable communications medium. Value of Paper and Print (VoPP) is a campaign promoting the efficacy and engagement of paper and print as a relevant, effective and modern media channel. Keep Me Posted AU (KMP) is a campaign advocating every Australian’s right to choose, free of charge, how they receive important financial information. TSA’s Board of Officers are industry representatives and for the consumer focused campaign, Keep Me Posted, a Steering Committee. The TSA Board meets quarterly and sub-committees meet as required by the project milestones. TSA has three (3) campaigns running to promote the environmental credentials, the effectiveness of paper and print and the consumer’s right to choose paper and print. The Two Sides Myths and Facts positions the environmental campaign and is supported by extensive global research, surveys and verifiable data. The VoPP campaign promotes the effectiveness of paper and print as a communications vehicle. Materials range from a comprehensive Industry Report, VoPP magazine marketing collateral, sales toolkits, advertising material, research booklets and material for marketers and industry stakeholders. The Keep Me Posted campaign is the consumer facing campaign, advocating every Australian’s right to choose, free of charge, how they receive important information from banks, telecom’s and service providers. The campaign is working to generate consumer advocacy, influence industry regulators and secure support from relevant groups. In 2012 the first campaign was launched – Two Sides. At this time Two Sides did not exist as a standalone entity rather under the umbrella of the Australasian Paper Industry Association (APIA). It was not until September 2012 that Two Sides Australia became an independent entity and operated under its own Constitution. The Two Sides campaign was developed from an existing global campaign which focused on promoting the environmental credentials of paper and print. Taking from the international campaign, a Membership Charter was developed, and despite expanding the campaigns further since 2012, the ethos of the Charter remains. Advocate paper and print media whilst delivering a strong educational voice on all issues having impact upon the paper and print industries. All awareness and education programs to be delivered with credible, measured, considered and balanced evidence to provide value and offer a united industry voice both within the industry and also externally. Promote all paper and print medias in a cross-channel environment as effective, relevant and sustainable communication. All delivered in a considered, researched and verifiable manner. Promote the paper and print industries in a considered and balanced manner with verifiable research and evaluated conclusions. Conduct itself in an environmentally and socially responsible manner, supporting forest certification, recycling and waste-reduction schemes, equal opportunity and safe workplace programs and legislation and behaving in ethical business practice. Create safe workplace practices with a commitment to preventing accidents, injuries and illness related to work, and to protect employees, contractors and others involved along the value chain within its business activities, in full compliance with local legislation. Employ procurement procedures that are aimed at ensuring the purchase of raw materials, products and services are from ethically and sustainably responsible providers. Measuring and managing its environmental footprint by eliminating or minimising negative environmental impacts. Promote the consumer’s right to choose how they wish to be communicated to without prejudice to their social, environmental or economical positioning. Chairman, SAPPI Fine Trading Pty. Ltd.
John brings 26 years’ experience within the paper industry holding a series of senior executive roles. A loyal and passionate leader, John has a spent the majority of those years with the same company and currently holds a position with SAPPI Trading, Australia as the Managing Director. A disciplined sales executive, John brings a determined enthusiasm to the growth and stability of the industry. John is Chairman of APIA and TSA Limited. 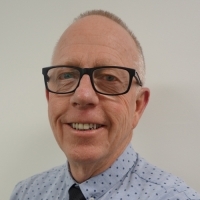 Craig holds the position of Strategic Account Director, PMP Limited, the largest privately owned printing and marketing services organisation in Australia. Craig takes an active role within the printing industry to promote the benefits and relevance the channel has to offer, to help brands leverage these benefits and to ensure print remains an important component of the future marketing mix. Kellie is the Executive Director of TSA Limited and a strong advocate for the effectiveness and sustainability of print media channels. 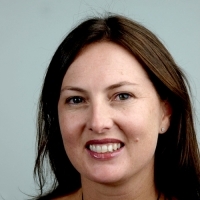 She holds several senior executive roles concurrently as the CEO of the Australasian Catalogue Association and Director of Sierra Delta, a brand and communications agency located in Melbourne, Victoria and sits on the boards of Printing Industries Association of Australia, PacPrint and Mail Industry Working Group. Simon is the Managing Director of Ball & Doggett. 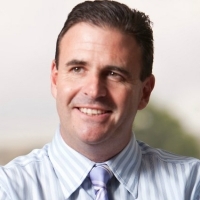 Simon began his career as an accountant at Pitcher Partners before joining Doggett’s in 1997. He is a member of the ICAA (Institute of Chartered Accounts Australia), Board Member of APIA (Australasian Paper Industry Association) and the Treasurer of TSA Limited. 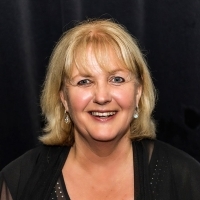 Karen Goldsmith is General Manager – Association at Visual Connections, the premier association for the print, graphics and signage suppliers in Australia. Her role is varied including representation on industry forums such as TSA Ltd and Future Print as well as holding the position of NSW Patron for Women in Print. 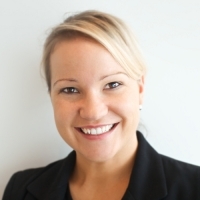 She has heavy involvement in the Australian organisation of PacPrint and PrintEx as well as the Visual Impact trade shows. Recently completing a Masters of Business Leadership, she is fascinated with the pace of change within the industry and how we are adapting to it. 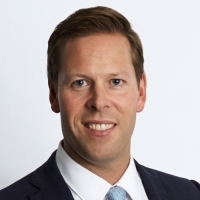 Cliff Brigstocke is Chief Executive Officer, Blue Star Group, an IVE business. Cliff joined the Group in July 2016 from OPUS Group, where he led the company since its inception and was instrumental in acquiring, integrating and developing each of the businesses. He is a former Director of Bunzl Australia and held General Manager and Regional Director positions within the company’s outsourcing division. Cliff’s broad set of skills and experience will enhance the senior leadership’s ability at IVE to execute a wide range of strategies over the years ahead. 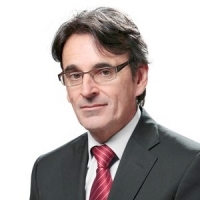 Peter Orel is the CEO of Finsbury Green, a leading marketing services manager, printer and logistics provider. In this current role, he has overseen the ongoing expansion of the group’s operations both organically and by prudent acquisition. 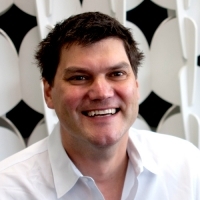 Peter is currently chairman of sourceithq Pty Ltd, a technology company that sells SaaS based procurement software. He is also a director of a number of private companies. Ruth is the General Manager of PrintNZ, the peak body for the printing and related industries in New Zealand. She sits on the committees of associated groups Self Adhesive Label Manufacturers Assn, New Zealand Paper Forum, Pride In Print Awards, Trust4Skills, and works closely with the industry training organisation to ensure the ongoing and effective delivery of skills for the industry.